·Do I need a visa? ·What else can we do in the area? ·What other people can I expect to meet on the trip? ·What currency is used in Egypt? ·What can I expect from an average day during the resort holiday? ·Do I need to be a good swimmer? ·Are the boat crews safety-trained? ·What wildlife can we expect to see on a trip? ·How do you know we’re not disturbing the dolphins? .What if the weather is bad? ·What do you recommend if I’m worried about seasickness? ·Will there be food available for people with specific dietary requirements? ·Are there any ‘extras’ that I need to budget for? We’re based on the beautiful Egyptian coast of the Southern Red Sea, 3 hours south of Hurghada . The eco-resort is 20km north of Marsa Alam, a 30-minute drive, and the dolphin trips leave from nearby. Our representatives will meet you at the Marsa Alam airport and we’ll arrange all the transport from there. Feel free to contact us to discuss recommended travel arrangements and flight times. See Getting There for more information. Yes. Most people will be granted a visa on arrival in Egypt if travelling on an EU passport but please check the regulations before you depart. See Fact Sheet. Valid passport and travel insurance documents are necessary. On the days that dolphin trips aren’t taking place you are free to relax at the resort or on the beach or book excursions to local sights and towns, depending on availability. Our resort is a dive centre (PADI) so learning to dive is a popular choice, or if you’re already qualified there are plenty of world-class dive sites in the area. Other guests in the resort can include families, friends, couples and independent travellers, but it’s entirely up to you whether you wish to socialise or spend time relaxing over a quiet dinner or reading a book on the beach. We cater to people of all ages and backgrounds who share a passion for dolphins, adventure and new experiences. Day trips to the reef are on a boat with a maximum capacity of 25 people, and small boats of 6-8 people are used to drop you off in the water alongside the dolphins. The eco-village resort hosts many divers as it is close to some of the best world class diving sites. If you choose our Overnight Safari in your resort holiday you will share the onboard experience with a total of sixteen passengers from the eco-resort, and six crew. We have found this to be an optimum number; enough people for diversity, but small enough to remain personal. Everyone has plenty of opportunity for interaction with the dolphins, entering the water in pairs on a rotation basis, meaning you can be assisted if necessary and the dolphins are not disturbed by large groups in the water at once. Although the currency in Egypt is the Egyptian Pound we suggest that you bring Euros cash because most prices are in Euros and they are accepted everywhere. Note that in Egypt it is not always possible for banks to provide a cash withdrawal against your Visa card. There is a 5% charge on credit card transactions and 1.5 % on Travellers Cheques on site. All purchases in Egypt are subject to 10% sales tax on top of the shown price. See Fact Sheet. On the 3 days of dolphin swimming we usually leave the resort at 9.30am to meet the boat to the Marine Reserve (approx. 40mins drive). The day will be spent cruising to the Dolphin House reef, snorkelling and swimming with the dolphins and a leisurely lunch on-board, before returning to the resort about 4pm. The remaining days of your holiday can be as action-packed or as relaxed as you’d like them to be. A daytrip to a nearby bay where you’re likely to be able to snorkel alongside turtles is included, plus optional extra excursions like horse riding, scuba diving, desert trips or city tours can be arranged. Learning to dive is a popular choice and extra dolphin trips are available. The snorkelling from the shore of the eco-village and nearby bays is also fantastic, or simply enjoy the peacefulness of the beach and desert, popping in and out of the resort for meals and drinks as you please. If you are a strong swimmer you will be more likely to be able to play with the dolphins and attract their curiosity. However many of our guests prefer to float with buoyancy aids and watch the dolphins beneath them, this is very beautiful and they are likely to come to say hello! Some people prefer to interact from the boats and not enter the water, it’s completely up to you. Our team offer training in gaining confidence in the water and are vigilant when in the open water. Yes. We work with local Egyptian boat operators with good safety and customer satisfaction records. The crewmembers are there for your comfort and safety and to pass on their knowledge of the local area and marine wildlife. We offer a lot of support and encouragement to develop confidence, and provide lifejackets as buoyancy aids which inflate in the open water if the swimmer gets tired or is in any kind of distress. The crew are constantly vigilant of everyone’s competence in the water and encourage everyone to express any concerns they might have and engage at their own pace. We visit the Marine Park reserve for our day trips. It is an hour offshore, which is also known as the ‘Dolphin House’ because of the large population of Spinner dolphins who have made it their home. It is also possible to come across Bottlenose and Common dolphins. Also resident but more unusual, are Rissos dolphins, whale sharks (plankton eaters) and manta rays, whale sharks. Rare sightings may include Leatherback and Loggerhead turtles and dugongs (manatees). Various brightly coloured fish and coral species can be seen while snorkelling. On the more remote reef visited on the Onboard Adventure holiday there is also a pod of resident spinner dolphins and an abundance of other marine life. Dolphin conservation is very important to us. We ensure that all interactions take place on the dolphin’s terms – they come to us, not the other way around, and we operate in accordance with international guidelines regarding the protection of marine mammals. This ensures an enjoyable experience for everyone, including the dolphins themselves, whose natural curiosity usually brings them right up to people in the water. If their behaviour indicates they are resting or avoiding contact we do not approach and wait till they are in an interactive mood. Sharks do not tend to come into the shallow waters of the offshore coral reefs as they prefer deeper waters and are found further offshore where they can hunt. The divers meet them a lot when diving the reefs further out to sea and they co-exist peacefully. It is not in the nature of a shark to prey on humans, shark attacks that have occurred in the past have been proven to be due to “baiting “ by unruly dive companies in Sharm el sheik to attract the sharks to areas for divers to see. This practice is illegal and very stupid and anyone caught now in Egyptian waters is fined heavily and have their licence removed. So it is highly unlikely you would see a shark on the dolphin trips and the chances of an attack for no reason is unheard of. ·What if the weather is bad? All activities (including dolphin swims and snorkelling) are weather dependent and subject to suppliers’ arrangements with boats. In the unlikely case we have to cancel a sailing we would do our utmost to reschedule your trip for another day of your holiday. Seasickness can be inevitable for some people so we do recommend you bring preventative medication with you. Herbal alternatives are also commonly available and eating pieces of ginger or ginger biscuits is known to help prevent queasiness and even flat coca cola. Generally the sea is calm in the reef as it is protected from the open ocean. Bring a swimming costume and you’re welcome to bring your own wetsuit, snorkel, mask and fins but these can be rented on site. See Fact Sheet for more info. There will be a variety of food served at the resort and on the boats, including vegetarian options, but it is best to let the chef know when you arrive about any specific dietary requirements. They will do their best to accommodate them. There is a fee for the visa obtained on arrival in Egypt (currently £13, see Fact Sheet). Other extra costs might include extra snacks and drinks bought at the resort and optional day excursions. Please feel free to contact us to discuss the details of your trip. Think about the dates you’d be looking at, availability of flights at that time and browse the accommodation options at the Eco-Village. When it comes to booking your holiday we do require a non-refundable deposit of £250 per person, and full payment 8 weeks in advance. See costs and booking information. Dolphin Swims operates a Trust Account, meeting the UK and EU regulations regarding travel and package holidays, providing 100 per cent financial security to customers. This means that your money will be refunded in the unlikely event of our withdrawing our services or insolvency. You can also pay by credit card which offers some protection. The deposit is non-refundable. If there is any problem with visiting due to the political situation we will reschedule your holiday with NO cancellation charge to you. Bring a swimming costume and you’re welcome to bring your own wetsuit, snorkel, mask and fins but these can be rented on site. Strong-soled wet boots or a pair of old trainers are a good idea to wear when snorkelling. Please bring a beach towel for swimming and a bathroom towel (one will be provided in the Madyafah chalets). Bringing all the toiletries and cosmetics you may require is recommended, as there are few local shops – for example sun cream, mosquito repellent and seasick tablets. Bedding is provided. See Fact Sheet for more info. 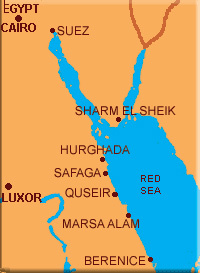 We’re based on the beautiful Egyptian coast of the Red Sea. The eco-resort is 20km north of Marsa Alam, a 30-minute drive, and the dolphin trips leave from nearby. Our representatives will meet you at the Marsa Alam airport and we’ll arrange all the transport from there. Feel free to contact us to discuss recommended travel arrangements and flight times. On the days that dolphin trips aren’t taking place you are free to relax at the resort or on the beach or book excursions to local sights and towns, depending on availability. Other guests in the resort can include families, friends, couples and independent travellers, but it’s entirely up to you whether you wish to socialise or spend time relaxing over a quiet dinner or reading a book on the beach. We cater to people of all ages and backgrounds who share a passion for dolphins, adventure and new experiences. Day trips to swim with the dolphins are on boats with a maximum capacity of ??? people. If you choose the 3-day, 2-night dolphin safari as part of your holiday with us, you will share the on-board experience with a total of sixteen passengers from the eco-resort, and six crew. We have found this to be an optimum number; enough people for diversity, but small enough to remain personal. Everyone has plenty of opportunity for interaction with the dolphins, entering the water in pairs on a rotation basis, meaning you can be assisted if necessary and the dolphins are not disturbed by large groups in the water at once. Although the currency in Egypt is the Egyptian Pound we suggest that you bring Euros cash because most prices are in Euros and they are accepted everywhere. Note that in Egypt it is not always possible for banks to provide a cash withdrawal against your Visa card. There is a 5% charge on credit card transactions and 1.5 % on Travellers Cheques on site. All purchases in Egypt are subject to 10% sales tax on top of the shown price. On the 3 days of dolphin swimming we usually leave the resort at 9.30am to meet the boat to the Marine Reserve (approx. 40mins drive). The day will be spent cruising to the Dolphin House reef, snorkelling and swimming with the dolphins and a leisurely lunch on-board, before returning to the resort about 5pm. The remaining days of your holiday can be as action-packed or as relaxed as you’d like them to be. A daytrip to a nearby bay where you’re likely to be able to snorkel alongside turtles is included, plus optional extra excursions like horse riding, scuba diving, desert trips or city tours can be arranged. Extra dolphin trips are available. The snorkelling from the shore of the eco-village and nearby bays is also fantastic, or simply enjoy the peacefulness of the beach and desert, popping in and out of the resort for meals and drinks as you please. ·What’s the difference between the Eco Village Resort Holiday and the Onboard Adventure Dolphin Safari? These are fantastically different holidays – the resort holiday includes 3 daytrips (3 hour duration) to swim with the dolphins, unless you choose to include the Overnight Safari (one night sleeping out on the reef on our cruise vessel – a brilliant option for those who can’t make our Onboard Adventure dates)). The rest of your time can be spent relaxing at the resort or enjoying the area on different optional excursions. The Onboard Adventure Dolphin Safari does include some resort time (4 nights) but, in addition, we spend 3 nights aboard the cruise vessel at a more remote reef. This allows a very different experience with the dolphins – we can see them all times of day - at dawn, late evening. This also means the group gets to know each other better and can spend time relaxing on the boat on the beautiful sun decks and in the galley. Our dates for the Onboard Adventure in 2011 are 3-10th November and 10-17th November. Please get in touch for more information! Our guests range from strong swimmers who like to free dive and play with the dolphins, to those who prefer to float with buoyancy aids and watch the dolphins beneath them. Others prefer to interact from the boats and not enter the water. Our team offer training in gaining confidence in the water and are vigilant when in the open water. Disabilities?? We visit the Samadai Reef, an hour offshore, which is also known as the ‘Dolphin House’ because of the large population of Spinner dolphins who have made it their home. It is also possible to come across Bottlenose and Common dolphins. Also resident but more unusual, are Rissos dolphins, whale sharks (plankton eaters) and manta rays. Rare sightings may include Leatherback and Loggerhead turtles and dugongs (manatees). Various brightly coloured fish and coral species can be seen while snorkelling. Dolphin conservation is very important to us. We ensure that all interactions take place on the dolphin’s terms – they come to us, not the other way around, and we operate in accordance with international guidelines regarding the protection of marine mammals. This ensures an enjoyable experience for everyone, including the dolphins themselves, whose natural curiosity usually brings them right up to people in the water. ·What if we don’t get to swim with dolphins for any reason? Firstly we have to be aware of the weather – it doesn’t happen often, but occasionally our skipper will have to cancel a trip due to adverse weather conditions. In this case, we will reschedule the trip as time allows, for another day of your holiday. Refund if not??? & if dolphin behaviour/location means no swimming? Refund policy. Seasickness can be inevitable for some people so we do recommend you bring preventative medication with you. Herbal alternatives are also commonly available and eating pieces of ginger or ginger biscuits is known to help prevent queasiness. There will be a variety of food served at the resort and on the boats, including vegetarian options, but it is best to let us know when you make the booking about any specific dietary requirements. We will do our best to accommodate them. ·Airport Transfers from Marsa Alam (Hurghada transfers incur a £30 supplement for the return journey). ·7 nights accommodation and all meals from a delicious buffet style restaurant, excellent cuisine, free unlimited chilled mineral water, teas, coffee and soft drinks throughout the day and afternoon cake. 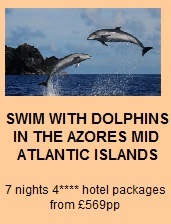 ·3 Dolphin Swim day trips including a freshly prepared lunch on board. ·Unlimited house reef snorkelling (off hotel beach in free time) and one off-site snorkelling excursion by truck to see the turtles. ·Flight, visa and travel insurance costs. ·Egyptian Marine Park environmental tax of 15 Euros per visit to Dolphin House reef (from 6 years old) for divers and snorkellers. ·Beer, crisps, chocolate, ice cream and souvenirs for sale on site. Please feel free to contact us to discuss the details of your trip. Think about the dates you’d be looking at, availability of flights at that time and browse the accommodation options at the eco-resort. We can also offer the 2-night, 3-day live-aboard Dolphin Safari as part of your week if you are planning a holiday in October or November so bear this in mind! When it comes to booking your holiday we do require a non-refundable deposit of £200 per person, and full payment 8 weeks in advance. See prices here.